But in fairness to Guy, I thought the same thing, that if Rimouski had a shot at winning the Mastercard Memorial Cup, they would have to beat Kelowna coming out of the chute to gain momentum. They didn't and looked really rusty in losing. On the flipside Windsor looked good, but lost in overtime against Drummondville Saturday. So by our theory, Windsor should have handled Rimouski easily today right? Wrong. It was a wildly entertaining game, but a game where Winsdor received some shoddy goaltending from Andrew Engelage...again. Yesterday he allowed a soft tying goal. Today he gave up a bad game winner to Logan MacMillan (Anaheim, 1st round, 2007)from a sharp angle in the corner. Windsor pulled within one when Andrei Loktionov (Los Angeles, 5th round, 2008) notched his second of the game. They would have tied it late if it wasn't for the quick stick of Sebastien Piche, who knocked the puck away from a diving Dale Mitchell (Toronto, 3rd round, 2007) and prevented him from getting his second of the game. The game featured two 2nd period lead changes and 7 goals in the middle frame and for the second straight day, the pre tournament favorite lost by a goal. Can Windsor battle back to force a tie breaker and reach the final? It will be extremely tough and it will start with a must win game against Kelowna on Tuesday. 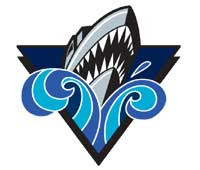 I was impressed again with Rimouski netminder Maxime Gougeon, who was strong down the stretch for the Oceanic and gave his club a chance today, especially with a breakaway save on possible first overall pick in 2010 Taylor Hall. Windsor's Loktionov I liked as well, and Rimouski's Patrice Cormier (New Jersey, 2nd, 2008) who scored and played physical as well. The Oceanic's Keven Vielleaux (Pittsburgh, 2nd round 2007) was also effective, coming back after losing some teeth on a Ryan Ellis hit and setting up Luca Cunti (Tampa Bay, 3rd round, 2007) with a beautiful toe drag. Monday it's Kelowna and Drummondville. Windsor's loss puts the Rockets in a great spot. As Guy mentioned Friday, Drummondville is pretty banged up and might run out of gas. Kelowna has a chance to go 2-0 and secure atleast a berth in the semi-final.